Nicole Jones is a partner in San Francisco office of Lewis Brisbois and a member of the General Liability Practice. Ms. Jones' additional practice areas include Products Liability, Transportation, and Construction Defect. Nicole maintains a diverse caseload, defending insured and self-insured business entities in litigation and pre-litigation matters. She represents clients at all stages of litigation, including mediation, arbitration, negotiation, trial, and through appeal, in both state and federal court. Nicole’s practice is focused in all aspects of civil litigation including premises liability, products liability, catastrophic injury, wrongful death, landlord/tenant, subrogation, construction site accidents, and cases involving the application of the 8th Amendment to prisoners. Nicole represents retailers, hotels, restaurants/bars, commercial and residential property owners and managers in personal injury cases arising from accidents on their premises and disputes with their tenants. 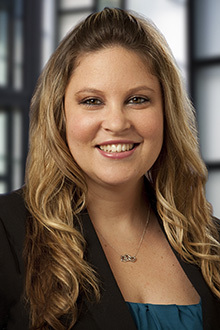 Nicole’s experience in construction site injuries and construction defect cases has lead to an understanding of various issues involving the machinery and operations involved, as well as OSHA regulations and their role in civil ligation. Nicole has filed and successfully argued many dispositive motions, in both state and federal court, in addition to preparing successful motions at all states of litigation. She has mediated hundreds of cases prior to trial, ultimately reducing her clients’ litigation costs and resulting in favorable results. Nicole obtained her undergraduate degree from the University of California at Davis. She attended Santa Clara University School of Law where she served as a technical editor for Law Review. While in law school, Nicole interned for the Katharine and George Alexandar Community Law Center, focusing on labor and employment and workers’ compensation cases.